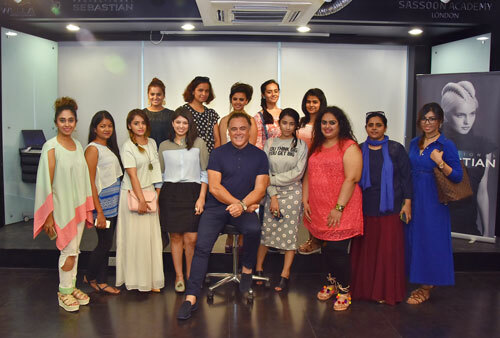 Home » Events » A Tete-à-Tete with Wella Professionals Global Ambassador Patrick Cameron! 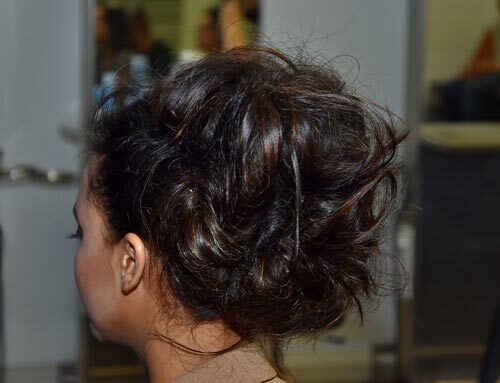 How many times have you left the house with a stylish hairdo that would turn heads? Not too many times, right? Indian women predominately still depend on salons and hair stylists for on trend hair-dos, blow outs and styling. Personally, even I rarely use styling products for my hair or experiment with different hair styles. Wella Professionals, one of the leading hair and beauty brands strives to bridge this gap by providing the consumers and stylists with premium quality products making the art of hairstyling much more easy. 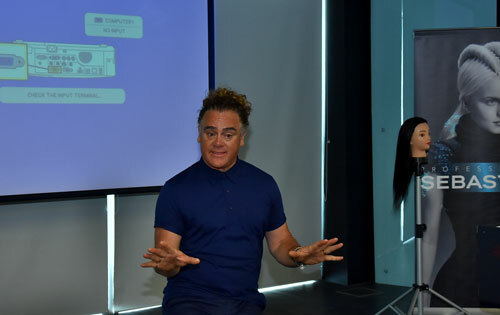 They recently flew down Patrick Cameron, also famously known in the hair industry as the ‘God of Long Hair’ to educate over 180 stylists about the various possibilities of hair styling. He conducted some amazing shows across 3 cities of India to show stylists how they can incorporate modern trends even for an ethnic event like a marriage, engagement etc. 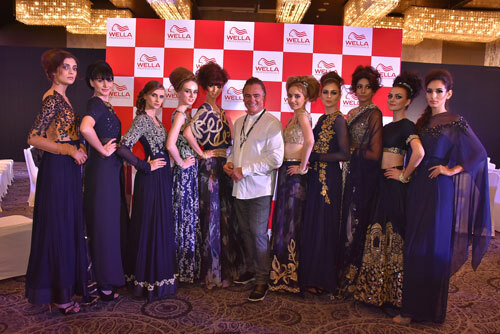 His collection is aplty called Modern Vintage which showcased models styled in gorgeous lehengas and anarkalis with glamorous bouffants, side twists, vintage curls and primarily big hair. It was inspired by the 60’s as this was the era that had a strong influence in fashion, in terms of the balance and proportions of the way hair is dressed . 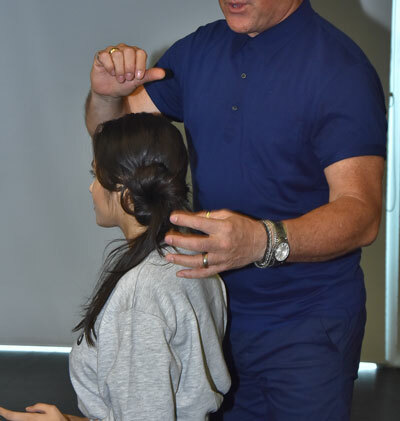 We had the chance to have a personal session with the expert of long hair and let me tell you, it was one of the most engaging and interesting sessions I’ve had in a long time. Patrick is the perfect showman who not only educated us about the trending styles and techniques but also kept us hooked with his humour and charm. 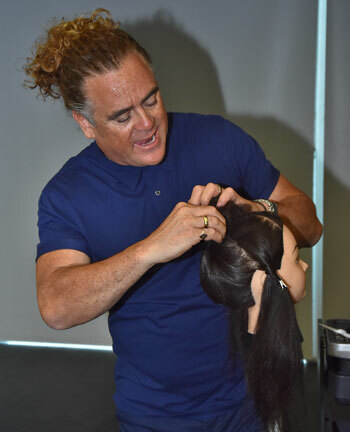 He has been associated with Wella for more than 25 years and is proud of the brand’s ideology to educate and invest in the industry and stylists. 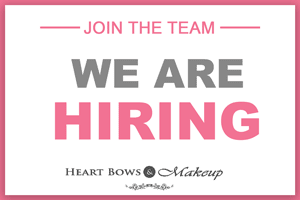 The brand strongly focuses on training the stylists in the correct techniques of using the products and creating different styles so that we the consumers have a better experience and knowledge. 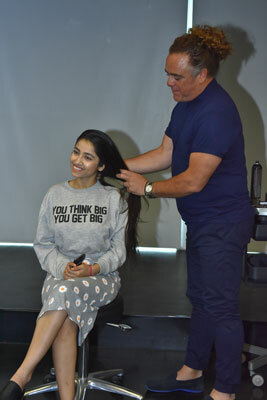 Patrick Cameron believes that hairstyling is an expression of one’s individuality and hence it cannot take a back seat. He went on to show us some quick and easy hairstyles for the summers which honestly do not require alot of effort and look totally chic. Here are some of the tips that he shared during the session. Braids are bang on trend and are perfect for long hair. Be it a side french braid or an asymmetrical braid with a pony, it’s one of the easiest way to keep you hair in place and still be trendy. The latest hair coloring trend is ‘Convert Streaks’. This is usually placed under the parting so you can hide it while at work and switch up the parting and rock the funky color when out partying. Experiment with colors like blue, pink, purple, green etc. If you get your hair back combed and want to remove the tangles then always start from the ends rather than the roots. This helps minimize breakage. For India’s terribly humid weather, hair rituals and treatments like hair spas must be taken regularly. He further recommended limiting hair oiling to once a week. Patrick Cameron also demonstrated some easy hair updos on fellow bloggers which we shared on our Snapchat. It was an absolute pleasure seeing him style hair like a true maestro that he is!